Steampunk modder Built LCD computer monitor and keyboard. 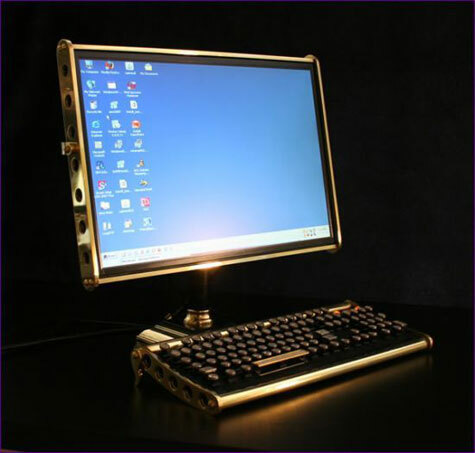 Brass dominates this steampunk design and all of 22 inches of the LCD monitor sits on a nice brass frame that is a quarter inch thick. The drilled holes on the frame make it look very nice and retro. The ports for the mic and earphones lie on the LCD monitor’s side and Datamancer has given the entire kit a nice sanding and polishing to give you that shimmering shine.